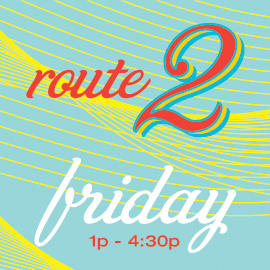 This route begins at 1pm sharp at TOMS - 1611 N Damen Ave, Chicago, IL 60647. Other stops include New Wave Coffee, Ipsento , Cup and Spoon and Bow Truss Coffee Roaseters (not in order). This is a guided 2.5 mile walking route that concludes at 4:30pm, and you must provide your own transportation.